Since writing about the tensile stress in the relations between Nigeria and India consequent upon the coldblooded murder of a Nigerian in the Indian state of Goa, I continue to receive a steady stream of emails from Indians and Nigerians, and feel compelled to share more thoughts on the issue. First, it was not I who called India the most racist society on earth; it was a study by two Swedish economists that reached that conclusion. I should perhaps add that I have many Indian friends here in the United States who are some of the most tolerant and benign people anyone can ever wish to meet. Many of them, in fact, wrote to express outrage that Nigerians are at the receiving end of racist brutality in a part of their country. I certainly didn’t intend to be understood as implying that all Indians are xenophobic brutes. Second, when I called India the “leader of the Third World,” I used “Third Word” not as an economic or developmental category (although that’s the term’s dominant signification in contemporary usage), but as a political category to refer to countries that were neither ideologically affiliated with the West nor with the East in the heyday of the Cold War. That’s the original meaning of the term, and India was at the vanguard of the Third World movement in the Cold War era. So I was bemused that Indians would throw around the term “Third World” as an insult. Third, although irrational resentment against dark-skinned Africans is a worldwide scourge, many Africans have an expectation of hospitality—or at the very least tolerance— in India for at least two reasons. The first reason is that India has more dark-skinned people than any country on earth. There are over 200 million dark-skinned people in the country. That is more than the population of Nigeria, Africa’s most populous country. But dark-skinned Indians are despised and consigned to the bottom of the totem pole. That perhaps explains why Africans get short shrift from Indians. (Aljazeera recently did an in-depth report titled “Africans decry ‘discrimination’ in India” on the widespread anti-African bigotry in India). Africans are considered no different from—or maybe even inferior to— the over 200 million dark-skinned Indians that the dominant Indian culture has treated as sub-humans for millennia. Thankfully, I am told that this attitude is changing slowly in urban India. Now, this is not by any means a defense or extenuation of the involvement of Nigerians in drug trafficking and other scams in India and elsewhere. I am troubled by and acknowledge the fact that few Nigerians are indeed involved in drug trafficking and Internet scams India, but it would be nice if the crimes committed by these few Nigerians are not used as a basis to judge the rest of us—the same way that Indians don’t condemn all Israelis and Russians because few people from these countries dominate the narcotic trade in their country. 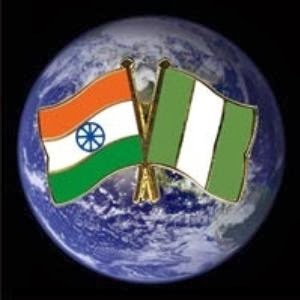 The second reason that Nigerians, especially some northern Nigerians, were disillusioned by the blanket ill-treatment of Nigerians in India, particularly the rhetorical violence directed at Nigerians in online comments, is that northern Nigerians feel a deep, if unrequited, cultural affinity with India. A lot of us grew up watching Bollywood movies and found many cultural convergences between the portrayals of Hindu culture in Bollywood movies and northern Nigerian culture. 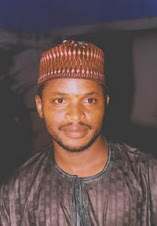 That is why Kanywood, the northern Nigerian movie industry that sprang forth from Kano, is little more than an inept, dewy-eyed mimicry of Bollywood. 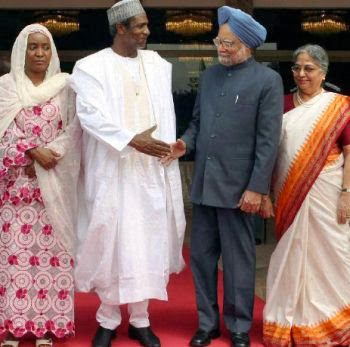 In addition to the wild popularity of Indian movies in northern Nigeria, many Nigerians have related with Indians in Nigeria as high school teachers (in the 1970s and 1980s), classmates, etc. I encountered my first Indian when I was only 5. His name was Job, and he was my classmate in Baptist Primary School in my home town of Okuta in the Baruten Local Government area of Kwara State (which was then called Borgu Local Government). Job’s father was a Baptist missionary who lived in the same missionary quarters with a Paul Burkwall, an American Baptist missionary whose son, David, was also my classmate. As children, we couldn’t tell Job from David. We called both of them “bature bibu,” Baatonu for “white children.” One day, Job told me he wasn’t a “bature bii,” that is, a “white child”; he said he was “Indian.” It didn’t make any sense to me at the time because I couldn’t tell him apart from David, a white American kid. It was not until I advanced to primary six and started watching Indian films that it all came together for me. The point of this recollection is to show the cultural and emotional affinity many Nigerians, especially northern Nigerians, feel toward Indians. (Although my part of Nigeria is in Kwara State in north-central Nigeria, it is actually culturally indistinguishable from the far north). Until fairly recently, Indian movie stars—and by extension Indians in general—were the standard for measuring or talking about beauty in northern Nigeria. Expressions like “she is so beautiful you would think she’s an Indian” were common when I was growing up, and they were informed by the exaggeratedly sanitized portrayals of India and Indians in the Bollywood movies we consumed. (Many northerners often feel a deep cognitive dissonance when they see everyday Indians in international TV news looking radically different from the notion of the perfect Indian that they had been led to internalize by Bollywood). So I wasn’t surprised by the ambivalent reactions that my article elicited from my northern Nigerian readers. Some of my readers were indifferent to the hostility against Nigerians in Goa because the Nigerians that were brutalized are from the south whom they said deserved what they got. But, then, many Indian commenters called these “southern Nigerians” Boko Haram muzzie terrorists who are involved in drug trade and Internet scam to fund terrorism in the service of Islam. Uh-oh! And, of course, southern Nigerians who like to malign northerners as Boko Haram terrorists saw that Indian commenters called southern Nigerians with names like “Simon” Boko Haram terrorists. Lesson: non-Nigerians who want to stereotype us don’t care a tinker’s damn which part of Nigeria we come from. Outside Nigeria, a Christian southerner is as likely to be stereotyped as a Boko Haram terrorist as a northern Muslim is likely to be tagged a drug trafficker or an Internet scammer. If this is not enough reason to put our house in order and overcome our own internal bigotry, I don’t know what is.